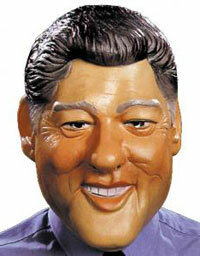 One of the classic political caricatures for a Halloween mask is former US President Bill Clinton. 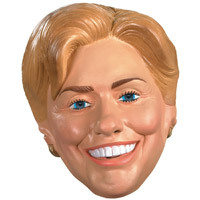 Pair this character Halloween mask with a Hillary Clinton mask for your significant other and go as a couple for Halloween. 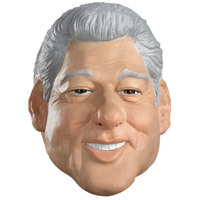 Disguise yourself as the 42nd US President Bill Clinton in this vinyl over-the-head full size Halloween mask for adults. 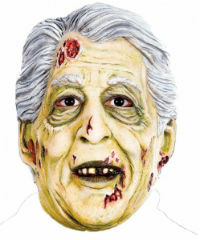 Thrill Bill Clinton zombie Halloween mask will let you disguise yourself as a walking dead version of our former United States president! This is a latex over the head mask for adults and older teens. If you want to go out with your partner as a couple on Halloween night, you can get this mask. These were some funny Bill Clinton costume ideas for Halloween. 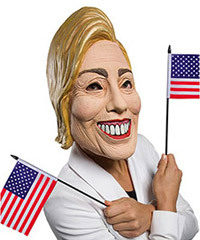 Shop for the best low price bargains on Halloween face disguises of famous politicians like former President William Jefferson Clinton. 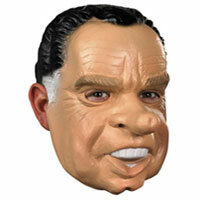 These political masks are available as full size over the head latex mask or half masks. Read details from the seller for specific info.